This episode was recorded at the Green Library on the campus of Stanford. It is the oldest library on campus and houses most of the special collections of rare books that belong to the university. Our guests are Dr. Roberto Trujillo, director of special collections, and Ignacio Ornelas, a PhD candidate at UC Santa Cruz and Salinas native. 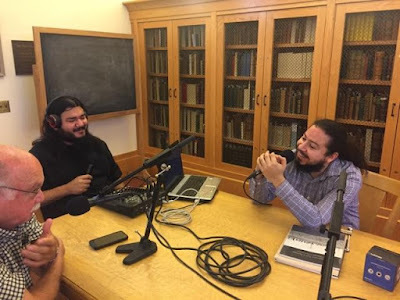 We talk about the role Mexican immigrants have played in the history of the US and how the historical study of Mexican-Americans is still in its infancy. This was recorded in a room with some books over 500 years old. 500-year-old books! !